If I do that before I start the debugger VS will not crash. When a Microsoft .NET Framework-based application tries to create an instance of the XMLSerializer class, the application stops responding. This symptom occurs if you try to run the application on a computer that is running an Asian version of Microsoft Windows XP. Note This article pertains to a specific scenario in which this symptom occurs. There are other scenarios in which this symptom may also occur. For example, this symptom may occur when one process starts another process in non-Asian versions of Windows XP. The XMLSerializer class performs dynamical compilation. During dynamical compilation, the Csc.exe process is started. 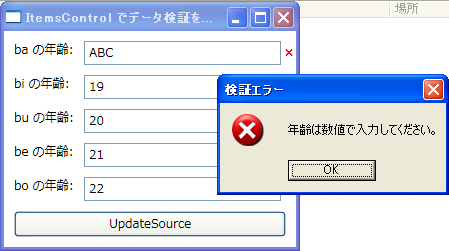 In turn, the Csc.exe process starts the Conime.exe process on Asian versions of Windows XP. The issue that is described in the "Symptoms" section occurs because of a deadlock condition in the Csc.exe process. Specifically, one thread (thread A) acquires a lock that is required by another thread (thread B). Therefore, thread B tries to start the Conime.exe process. By default, the Conime.exe process is loaded whenever a command prompt starts on Asian versions of Windows XP. Thread B waits 10 minutes while it tries to acquire the lock. After 10 minutes, this thread times out. In the right pane, right-click the blank space, and then click New. 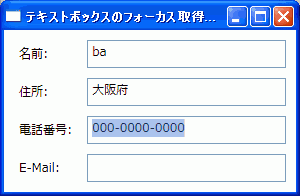 Click String Value, type conime as the name, and then press ENTER. Right-click conime, and then click Modify. In the Edit String dialog box, type %windir%\system32\conime.exe under Value data, and then click OK. Input Method Editors (IMEs) are DLL files that let users type complex ideographic characters by using a standard keyboard. IMEs are available in Asian versions of Windows. IMEs simplify the process by which users enter text that contains characters from Unicode and double-byte character set (DBCS) formats. IMEs monitor the user's keystrokes, anticipate the character the user may want, and present a list of character options from which to select. 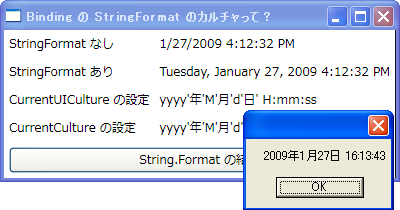 Binding の StringFormat プロパティのカルチャって ? が、BindingBase の StringFormat で指定した場合、カレントスレッドのカルチャ情報と異なるように見えますがー。なんか私間違ってますかー ? 何か指定がいるのー ?